This is my second report as President of the Association. I hope that all members had a happy and holy Christmas with their family and friends. I also hope that the new year brings luck and success. Since the last magazine, we have had a few members rejoin the Association and a couple of new members. 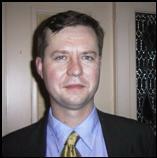 I wish to welcome James Jarvis, Malcom Robinson, Robert McGinley and Wayne Robson as new members. I also thank Dr. N. Cobbold, Mr. David MacGibbon, LTCOL Rob Byrne, LTCOL Ian Bunce, CAPT Bruce Foy, LTCOL Ken Gaulton, Mr. J. Guymer, Mr. Bill Kidston, MAJ Pat O’Keefe, BRIG Paul O’Sullivan for renewing membership. In terms of gaining new members we have now been provided with a list of graduates from QUR since 1981 until 1992. It is intended we contact these people to ask them to join the association. It is interesting to note how many of these graduates are left in the system. In 1981 out of 11 graduates 3 are left in the system; 1984 11 graduates 1 left in the system; 1985 6 graduates 4 left in the system; 1986 18 graduates 5 left in the system; 1987 8 graduates 2 left; 1988 15 graduates 1 left; 1989 19 graduates 3 left; 1990 7 graduates 0 left; 1991 19 graduates 3 left and 1992 30 graduates 8 left. Of most importance is the Back to the Regiment Night on Friday the 17th of March at the Standfast Club at the Regiment. I hope that as many of you as possible may come to this function. It is probably the most important function of the year. In past years it has been well attended and I hope that this year’s will be bigger and better than before. It is a great night. One other advantage of the evening is that in these days as the Regiment’s major role is to train officers the Club is not as substantial financially as it has been in the past. Thus the Back to Regiment night injects much needed money for the benefit of the soldiers in the unit. As to the Unit history, we hope to finalise the amassing of relevant historical information in the next month or so. Then we can determine the various options available. I should also mention that the Association is continuing with its support of the Regiment by purchasing books to be presented to the top 2 students on the present training course. If any member has any suggestion they are welcome to contact me on 32211275. The past few months have been the busiest period for the Regiment this training year. The final component of the First Appointment Course conducted at QUR for the present officer candidates was conducted in the Wide Bay training area in December. We had four withdraws from the course. A total of 23 passed Module 1B. Most of this cohort went straight to RMC for the final six weeks training (Modules 2, 3 and 4). Their Christmas and New Year break was very short. All 23 graduated on Tuesday 15 February 2000 with about 120 others from other University Regiments/ RMC detachments. On their return to the Regiment for final administrative clearances the new generation of ‘subbies’ will be shown the United Services Club. Another group of Officer Cadets and support staff also had a fleeting Christmas and New Year break. The Officer Induction Module commenced on 3 January because the University Open Weeks have generally been earlier due to the impact of the Olympic Games. A total of 34 commenced training (no not for the Olympics!) with 32 surviving the ordeal. There have been a few key staff changes. In short MAJ Rodney Laird has been posted to the Regional Training Centre (RTC-SQ) and has been replaced by the newly promoted MAJ Shauna Tompkins. The adjutant is Capt Lucas Saunders who last served at the Infantry Centre. The RSM, WO1 Dave Bennett will be hanging up his boots on 1 March and will be replaced by WO1 Lester Mengel who escapes from Army Personnel Agency Brisbane (APA-B). Most of the OC positions remain unchanged at this stage however some will be removed from their comfort zones as three-year tenures approach. They can expect change-over to occur in early December 2000 and February 2001. Many other unnamed but valued members of the Regiment have left but hopefully will return on another rotation when due. I hope to see many former and current members of the Regiment at the Back to the Regiment function on 24 March. Association members are cordially invited to attend the service and the subsequent Gunfire Breakfast at Walcott Street. The function is largely funded by the Toowong RSL but the Association has undertaken to provide a quantity of rum to lace the morning coffee. 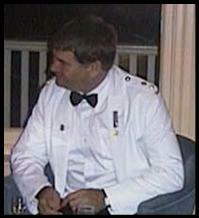 • Brigadier Rod Hamilton, a former Regimental 2IC, is now Deputy Commander 1st Division. • Brigadier Peter Rule has transferred to the Inactive List. Past President, promoted and posted as Deputy Commander 7th Brigade. Association members and their partners and guests are to RV in the Standfast Club, the soldiers’ club at the Regiment’s St Lucia depot, for an evening of good cheer with old comrades and new acquaintances from amongst the membership and those currently serving in QUR. Groupings and Tasks Groupings will be fluid and the task is to have a good time. Dress Smart casual but don’t worry about being overdressed if it’s convenient to come straight from the office. Assembly Area Ample parking is available in the depot grounds in Walcott Street. ♦ Cost $15 per head (includes barbecue meal and most drinks). ♦ Payment Send a cheque with your reply form or you can pay at the door. ♦ Drinks A fruit punch will be available for those wishing to avoid alcohol. ♦ Rations The unit Catering Section will be providing a gourmet barbecue. ◊ Executive Committee HQ will be located adjacent to the bar. ◊ Name tags will be available showing the vintage of your QUR service. Negotiations are underway for the production of a new design QUR tie of appropriate length and width. If things run according to plan they will be available for sale at the Back to the Regiment Night for a mere $20. Don’t leave the depot without one! Please check your current membership status on the address label above. If it shows other than PUOM or 2000, annual membership fees are due. Contact Membership Secretary Peter Morton for details. We really are keen to retain you as a member.